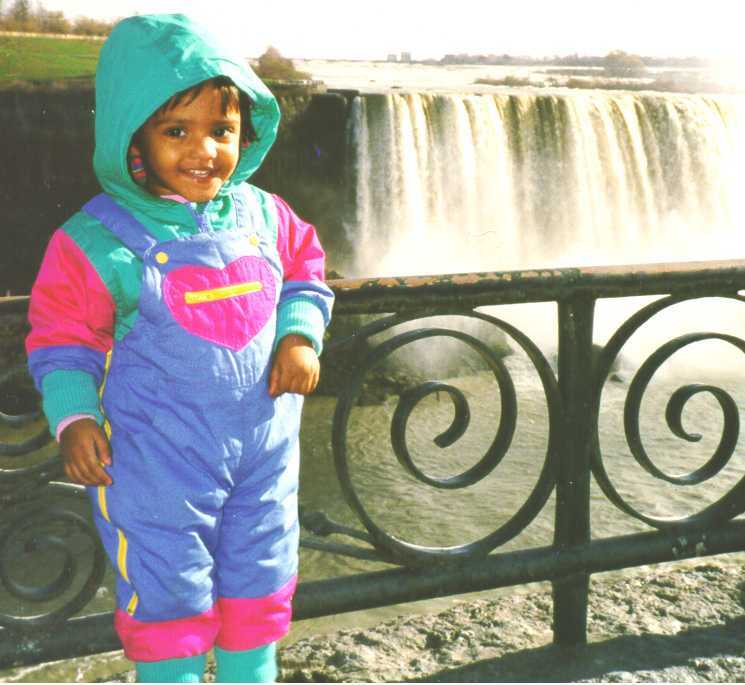 Sumedha at Niagara Falls on 11/13/1998. Father: Mr. Sanjay Goel A Geo-Technical Engineer, M.Tech from IIT Delhi, belonging to UP, India. Mother: Mrs. Ritambhara Geol. Computer Professional, belonging to Punjab, India. Paternal grandfather: Mr. C. S. Goel, Retired Civil Engineer from UP Irrigation Department, belonging to Distt. Muzafar Nagar UP India. Paternal grandmother: Mrs. Pushp Lata Goel, a Housewife, belonging to Distt. Muzafar Nagar UP India. Maternal grandfather: Prof. Kewal Krishan Mittal, Retired Head of Buddhist Studies Department, University of Delhi, India, Belongs to Baranala, Punjab India. Maternal grandmother: Mrs. Sharda Mittal, a Housewife, belonging to Distt. Hoshiarpur, Punjab India.